This guide will instruct you how to configure your PortalProdigy Server and Site. 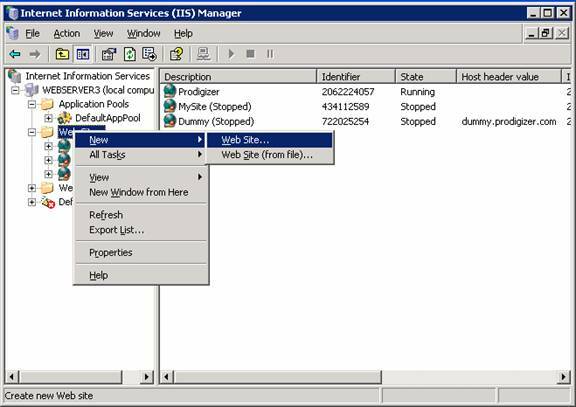 Prior to performing the steps outlined in this guide you must run the PortalProdigy.exe to install the PortalProdigy server components and create a website on your server. Windows XP Professional (use for trial only as XP is not suitable as a live webserver) with Service Pack 2. 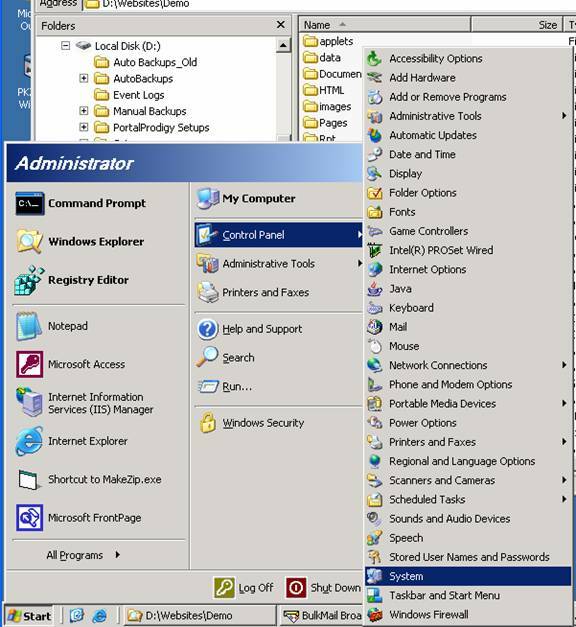 Windows 2000 with Service Pack 4. Windows 2003 Web Edition, Server Edition, or Advanced Server Edition; with service Pack 1. Windows 2003 Web Edition is the recommended Operating System. 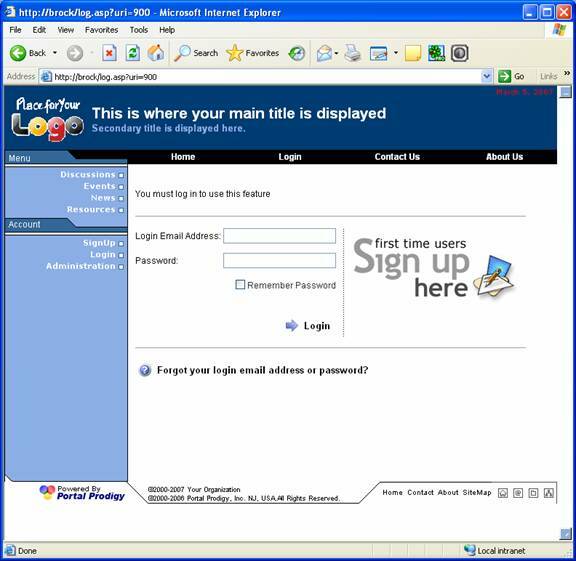 Administration of PortalProdigy should be done using Internet Explorer 6 with Service Pack 2. 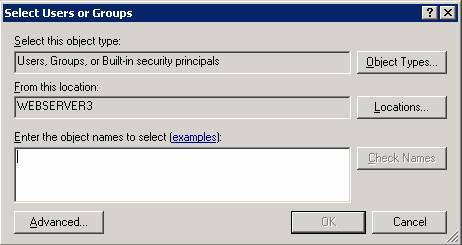 1) Configure Windows settings including folder/file access rights. 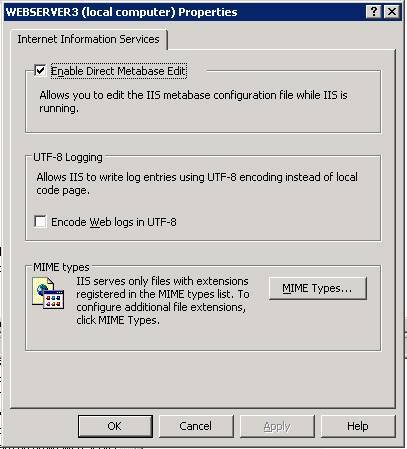 2) Modify IIS Metabase.xml file (Windows XP and Windows 2003 only). 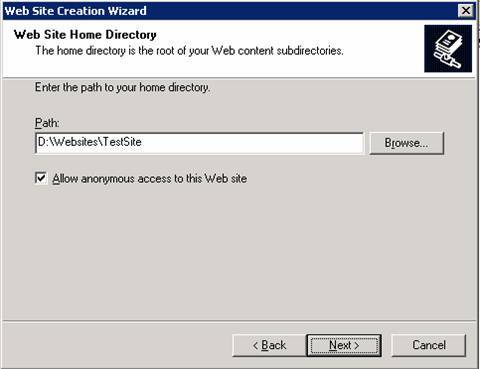 3) Create and configure site in IIS including setting IIS folder/file access rights. 4) Setup & configure Broadcasting Components. 5) Schedule nightly utilities using Windows Scheduler. Please note that your Windows installation may vary from the examples provided in this guide. This guide presumes the reader has sufficient knowledge of Windows to deviate from the instructions as necessary. If not, PortalProdigy can recommend an IBCA that can assist you with your installation. Please see http://www.portalprodigy.com/ for more information. 1) If you have installed PortalProdigy on Windows XP Professional, you will need to disable Simple File Sharing; otherwise skip to Step 2. 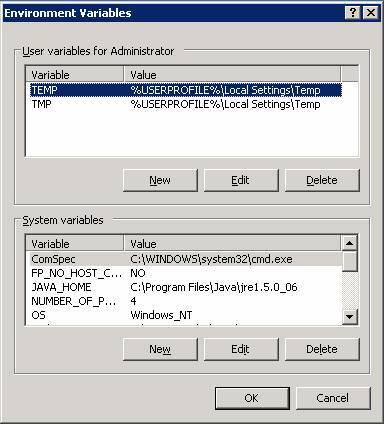 2) Set Environmental Variables - IUSR and IWAM accounts need full security rights to temp folder specified in windows environmental variables. We suggest pointing this to folder on drive D. We also suggest placing all websites on drive D.
d) Edit both Temp and TMP and set to either “c:\temp” or “d:\temp”. e) Click Ok to save. Continue to click close for each window. f) Using Windows Explorer go to your temp folder, either “c:\temp” or “d:\temp” and right click on the folder, then select Properties. j) Highlight IUSR and IWAM accounts as shown above then click OK.
l) Highlight IUSR (Internet Guest Account) and check “Full Control”. Do the same for IWAM (Launch IIS Process Account). 3) Set permissions for “CMD.exe” located in C:\Windows\System32 folder to include IUSR (Internet Guest Account) with “Read & Execute” permission. Follow same steps as used to assign IUSR and IWAM to temp folder except only check “Read & Execute”. 4) Set permissions for C:\PrgramFiles\CommonFiles\Brolin folder to include IUSR (Internet Guest Account) with “Modify”, “Read & Execute”, “Read”, and “Write” permission. Follow same steps as used to assign IUSR and IWAM to temp folder except only check “Modify”, “Read & Execute”, “Read”, and “Write”. 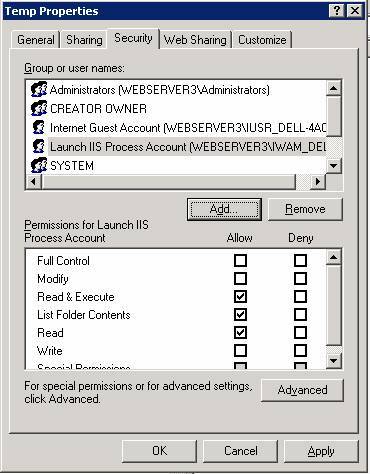 5) Set permissions for C:\Program Files\Common Files\Brolin\Zip to include IUSR (Internet Guest Account) with “Modify”, “Read & Execute”, “Read”, and “Write” permission. Follow same steps as used to assign IUSR and IWAM to temp folder except only check “Modify”, “Read & Execute”, “Read”, and “Write”. 6) Set permissions for your website. Go to your websites root folder, e.g. 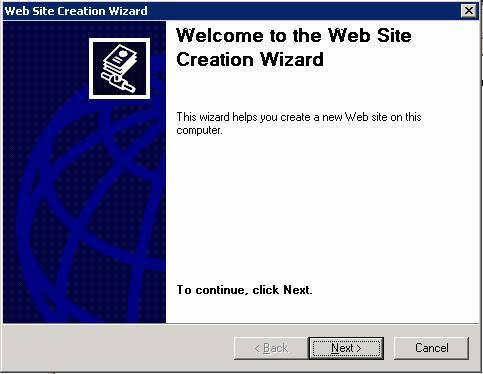 “D:\Websites\MySite” and set to include “Full Control” for both IUSR (Internet Guest Account) and Everyone. 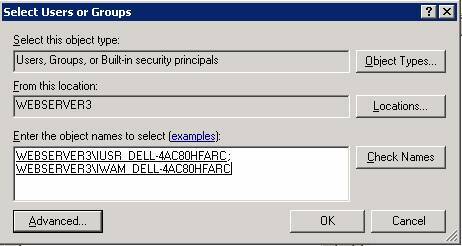 Follow same steps as used to assign IUSR and IWAM to temp folder except check “Full Control”. 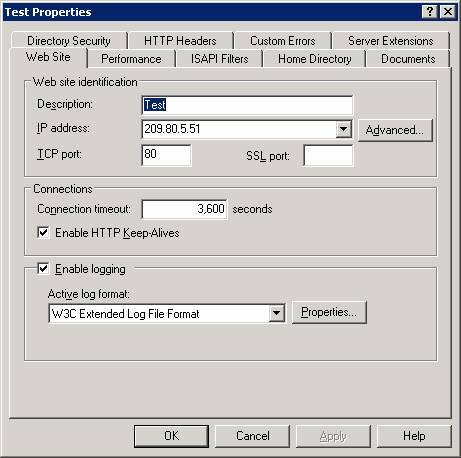 By default IIS is set to allow maximum file upload size of only 200K. The following will set it to the largest setting supported by IIS. 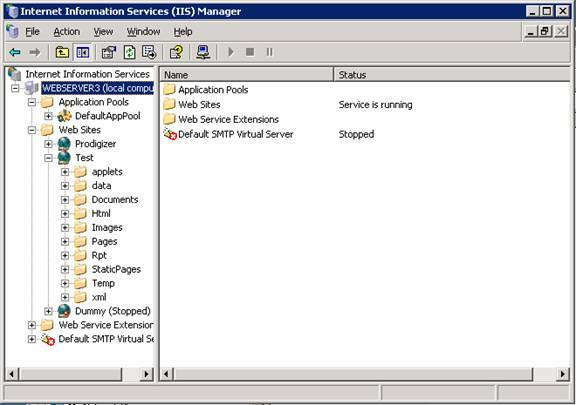 1) Using the IIS Console select the server name. 3) Check “Enable Direct Metabase Edit” and click Ok.
4) Using Windows Explorer go to “C:\Windows\system32\inetsrv” and open “Metabase.xml” in Notepad. 5) Select Edit then select Find. 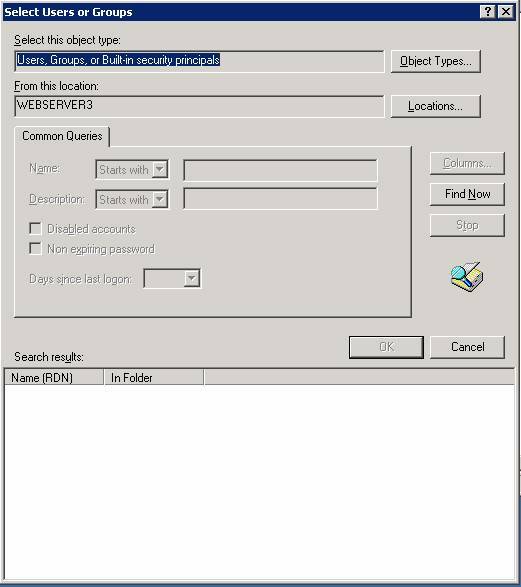 6) Enter “AspMaxRequestEntityAllowed” in the text box and click Find. 7) After it finds the value, click Cancel to close the Find dialog box. 8) Set the value to "1073741824" as follows: AspMaxRequestEntityAllowed="1073741824"
a) Select “Websites” and right click. Select New then select Web Site as shown below. d) Enter a name for your website then click Next. e) Select your IP from the list box. Leave the Port set to 80. 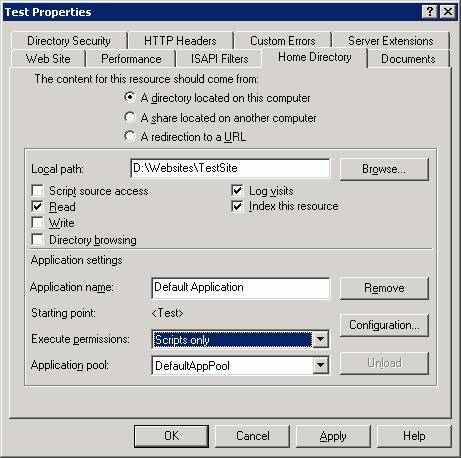 In the Host Header text box enter the same domain name (URL) you entered during PortalProdigy Setup. E.g. “www.mysite.com”. 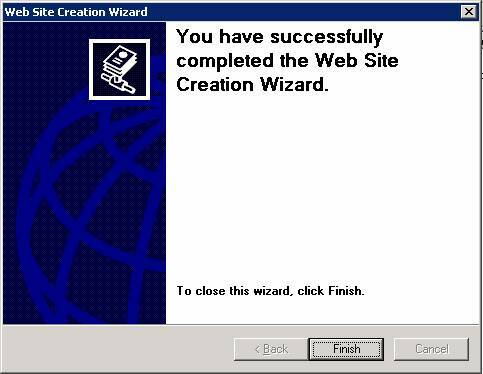 f) Use the Browse button to select the website root folder that was created during the PortalProdigy setup, then click Next. g) For Web Site Access Permissions check “Read” and leave all others unchecked. a) Select the website and right click on it, then select Properties. 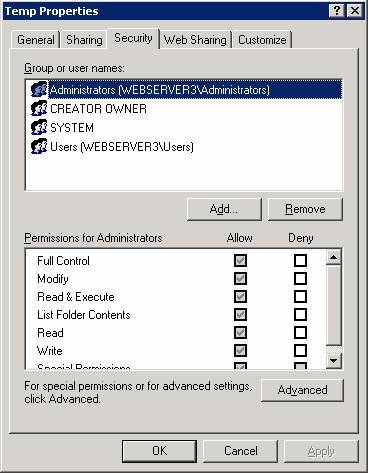 c) Set Execute Permissions to “Scripts only” then click Ok.
d) Set each folder’s IIS permissions as follows: the root folder, Applets folder, HTML folder, and Images folder require Read rights. All other folders (Data, Documents, Pages, Rpt, StaticPages, Temp, and XML) should have all rights unchecked (no rights). You set them by selecting the folder as shown above, then right click and select Properties. It is not necessary to set the sub-folders of these folders as they will inherit rights from their parent folder. If you want to send email from PortalProdigy, including automated notifications, then you need to complete this step, which will guide you through the process of setting up PortalProdigy’s broadcasting components. It requires that Sun Microsystems Java version 5.0 or higher be installed on your server (note that it is sometimes referred to as version 1.50). 1) Verify that you have Sun Java version 5.0 or higher installed. If not, go to http://java.com/en/download/index.jsp to download and update; otherwise skip to the next step. Be sure to restart your server after Java new install or update. 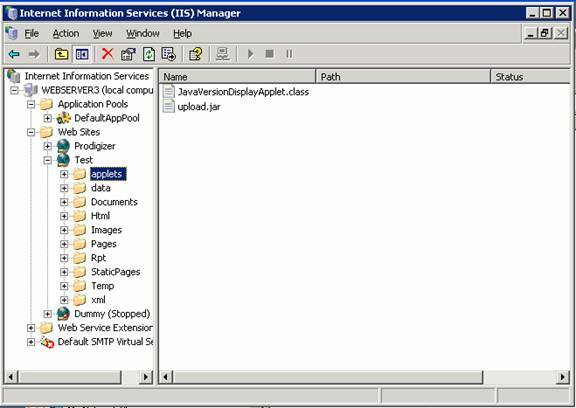 2) Copy all jar files from C:\Program Files\Common Files\Brolin\Java to C:\Program Files\Java\\lib\ext where is substituted by the latest JRE (Java release) folder name such as “jre1.5.0_06” that is installed on your server. b) Click the System DSN tab. 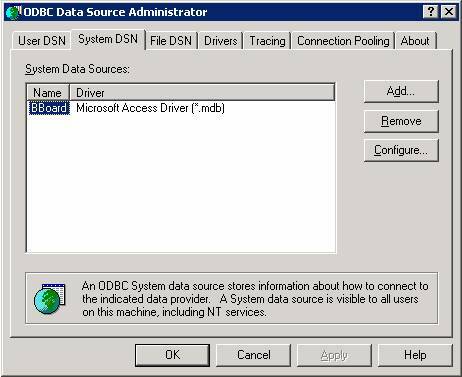 d) Select the driver “Microsoft Access Driver (*.mdb). f) Set Data Source Name to “BBoard”. g) Browse and select the database at C:/Program Files/Common Files/Brolin/data/ BroadcastingBoard.mdb. h) Click Ok to save. 4) Using Notepad, open the file “C:\Program Files\Common Files\Brolin\Java\bulkmail\bulkmail.properties” and update the IP address for the SMTP host. Set the IP address to your SMTP sever. Save and close bulkmail.properties file. 5) Create shortcut and place on desktop for “C:\Program Files\Common Files\Brolin\Java\bulkmail\bulkmail.bat”. 6) Create shortcut and place on desktop for “C:\Program Files\Common Files\Brolin\Java\bcdispatchbcastd.bat”. 7) Copy “C:\Program Files\Common Files\Brolin\Java\bulkmail\systray4j.dll” to “C:\Windows\System32” folder. Note that registration is unnecessary. 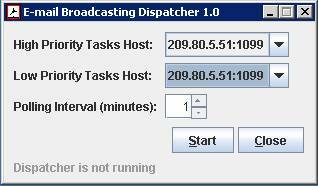 9) Provided BulkMail Broadcasting Services are alive and the service is exposed over RMI, double click on bcastd.exe shortcut to run Broadcast Dispatcher. 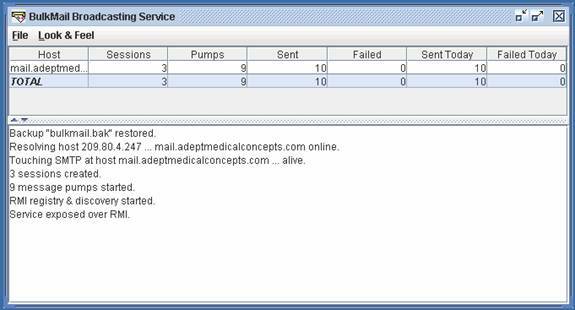 10) Dispatcher uses RMI discovery to find the BulkMail program. 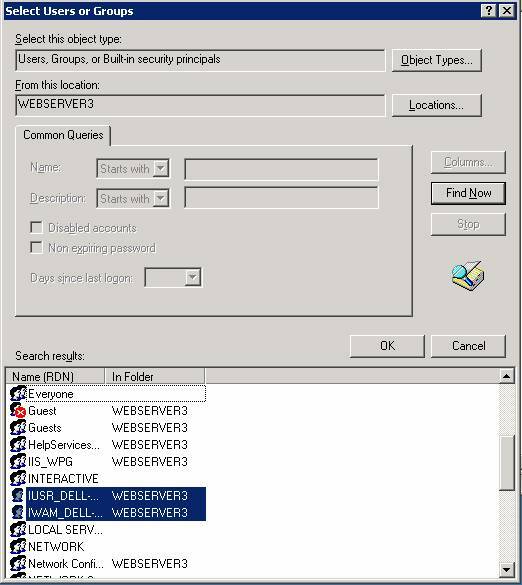 When it finds BuilkMail program it lists the IP address the server that is running it (your web server), as shown above. Click Start. 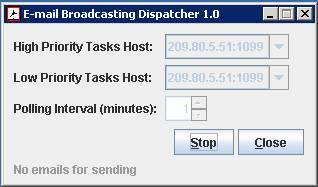 11) Dispatcher reads the BroadcastingBoard.mdb for unsent email broadcasts and sends them to the BulkMail program for broadcasting. It also updates the status of email broadcasts in the BroadcastingBoard.mdb based on status reported back by the BulkMail program. It repeats this process based on the value set for Polling Interval. The following utilities should be scheduled to run nightly using the Windows Scheduler. It is recommended to run them at least 5 minutes apart. Websitesenum.ini is read by the utilities to determine which websites and MDB to process. 2) Site Management. Select Start > Control Panels > Scheduled Tasks >Add Scheduled Task. Browse and select “C:/ProgramFiles/CommonFiles/Brolin/SiteMngt.exe”. 4) Save “C:/ProgramFiles/CommonFiles/Brolin/SiteMngt.exe” and Close Notepad. MakeZip.exe is used to zip HTML files with their corresponding resource folders so they can be downloaded over HTTP as a single file. This utility should always be running on your PortalProdigy server. 1) Locate the file “C:/ProgramFiles/CommonFiles/Brolin/makezip.exe” and create a shortcut on the desktop. You may also want to add it to your Windows startup. 2) Run Makezip.exe by double clicking on the MakeZip.exe shortcut. 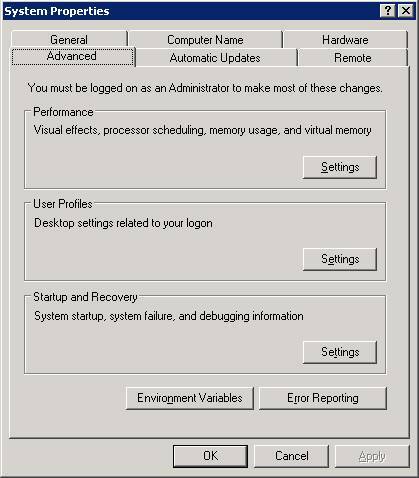 You can verify that it is running in Task manager as it does not appear in the system tray or display a window. 2) Click on “Administration” which is listed in the Left Side Bar. 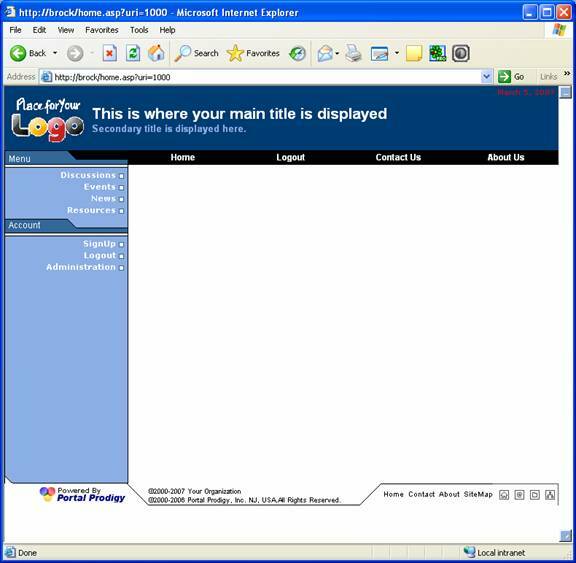 3) Set Login = “Administrator”. 4) Set Password = “newsite” all lower case. 5) Click “Login” and the Site Administration menu should appear as follows.